Well, after a near three year hiatus and a project car that I really don't like all that much, I've got another Cordoba!!! 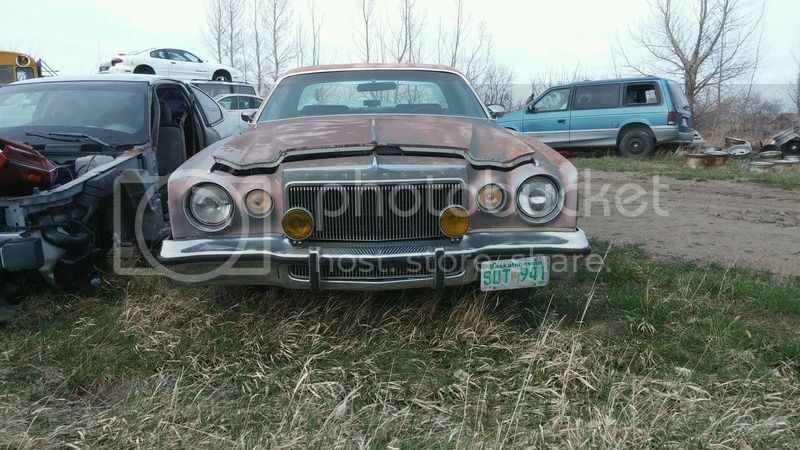 A friend found it for me in the crush line at a junkyard in Saskatchewan. It's a 76 big block car, obviously needs paint and one hell of a cleaning but turned over just fine when a battery was thrown in it. Hopefully will get it home soon, but being 3 hours east it might take a couple of weeks. Glad to be back!! 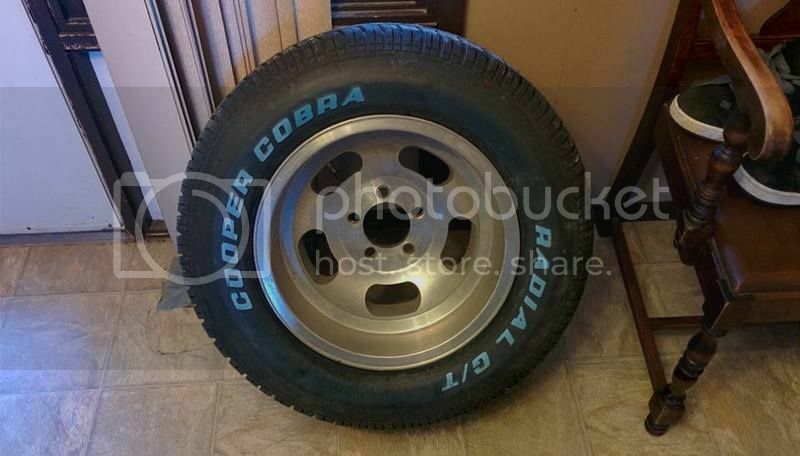 And I just bought a set of rims and tires for the Mustang project that will look KILLER on the Cordoba! Welcome back and great on saving another from the crusher!! 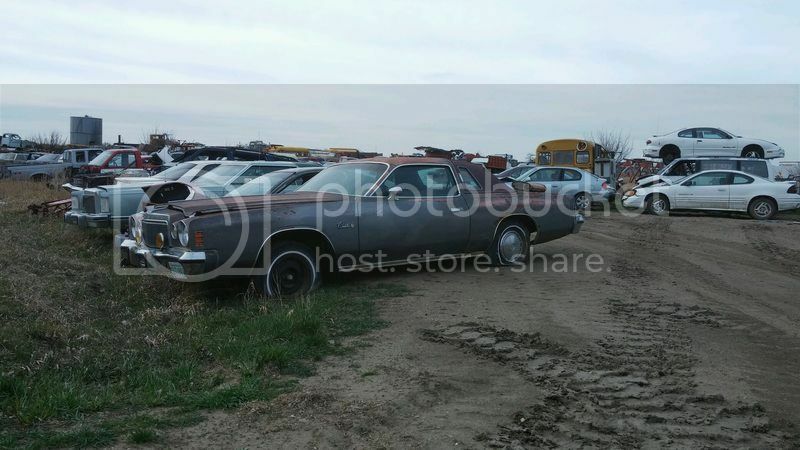 Hell yeah, looks like a pretty decent car to be in a salvage yard. Looks just like the one my Mom and Dad had. 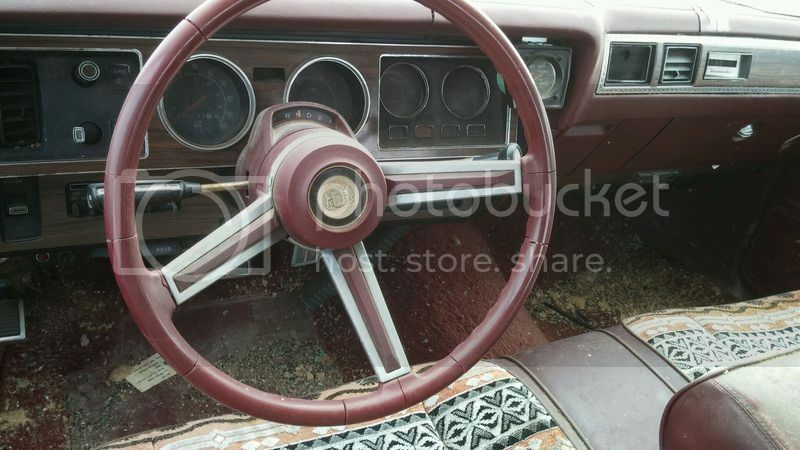 Same interior too. Best car the family ever had in my opinion. Ours had a 360 though. Thanks bud! It's nice to be back, and let's hope this one sticks around a bit longer lol. It's way too nice to be in a yard! Nice and straight, no rust just needs a rear window. Can't wait to get it home and on the road! Welcome back; don't be a stranger. That's not a bad looking car at all! Love that cloth interior.